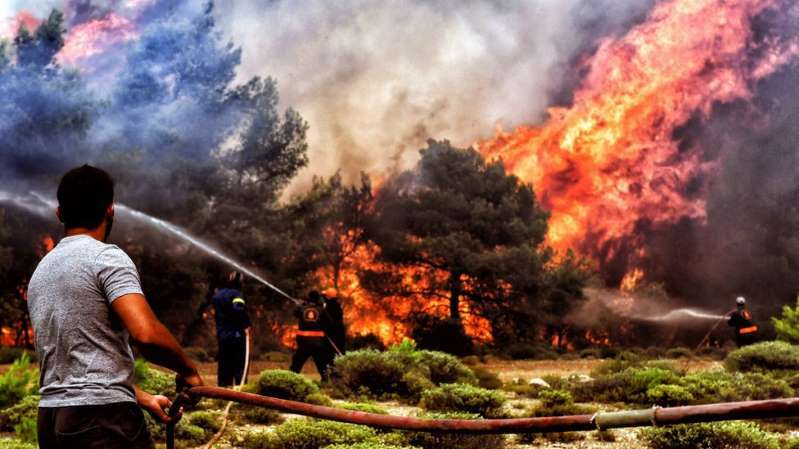 Greece has appointed new heads of key emergency services following last month's deadly wildfires near Athens. A statement from the prime minister's office on Sunday said that the heads of the police force and fire brigade had both been replaced by their deputies. It comes two days after resignation of the civil protection minister. The government has been strongly criticised over its response to the fires, which claimed the lives of at least 90 people. The government has said the fires were started by arsonists and blamed illegal construction for blocking escape routes. However, a catalogue of errors in authorities' handing of the fires emerged earlier this week. According to one senior expert, police set up diversions that sent drivers into the path of the fire, while a separate study found that authorities did not raise an alarm to allow residents and tourists to escape. The families of a couple in their 70s who were killed in the fires are suing police, fire, civil defence and regional leaders over their deaths. Fanned by strong winds, the flames spread through the Attica Peninsula, with the resort town of Mati among the worst-affected areas.